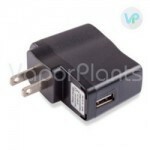 Vapir brand has long been known for breaking from convention with the design of their vaporizers. Never one to follow trends, they're continuously rethinking the way that we vape, and now they're ready to revolutionize the world of portables with the Vapir Prima Vaporizer. It is the game changing device, compatible with herbs and wax, this unit's design is highlighted by a brushed aluminum body, removable stainless steel vapor path, as well as a removable lithium-ion battery. Plus, 4 optimized temperature settings - ranging from 350° to 400°F, help to ensure almost combustion-free vape. There's no other portable vaporizer on the market today which can compete with the Vapir Prima's performance for the price. It's cutting-edge design provides top of the line performance. Prima vaporizers catch the eye instantly with their durable aluminum bodies. Measuring only 4 inches by 1 inch in size, the handheld vaporizer is easy to carry and conceal. Its ergonomic design fits perfectly in your hand, so you can enjoy every draw. By using a combination of convection and conduction, this Vapir model can hold its own among the best vaporizers on the market today. The Vapir vape has a stainless steel vapor pathway that reduces the temperature of vapor, so every draw is cool, smooth, and an absolute pleasure. Its heating technology is highly efficient, meaning you never waste the potency of your material and you'll be able to enjoy robust flavors with every draw. Their medical-grade materials ensure that your clouds are as pure as possible. The vapor pathway is removable for cleaning to ensure that no build-up gets in the way of enjoying your experience. This Vapir device comes pre-programmed with four temperature settings, which were chosen precisely based on research concerning the optimal temperatures of vaporization for a wide variety of herbal strains. The indicator lights and single push-button make it easy to set and monitor the vaporizer. With the Vapir Prima, you won't have to cut your sessions short due to battery life, because it has a removable, replaceable battery, and spare batteries are available for purchase. This way, you can always have a battery charged up and ready to go, so you can continue to enjoy your vaping sessions for as long as you like. Vapir offers a 5-year warranty on the Prima Vaporizer's heating element and build and a 2-year warranty on the battery. You can be confident in the quality of this incredible creation. Removing front cap will reveal its heating chamber, which can be used for both dry herbs as well as wax concentrates. When using with dry herbs, simply grind your material as fine as possible and place inside the chamber. When vaporizing waxy materials, simply insert one of the included mesh filters into the chamber, and then place your material onto the pad. Using pads with any waxes is highly recommended, as it keeps the heating chamber clean from stubborn build-up. Order today in your choice of stylish colors. Got this as a Valentine’s day gift and I’m loving it! I have been postponing buying a vaporizer for a while now and this one is perfect for me. Thick vapors, easier to use than some vaporizer and a lot cheaper than some of its competition. The temperature control is a plus with auto shutoff. But needs time to get used to, a few friends had a difficult on using it for the first time. Absolutely amazing - Review by Douglas K.
The Vapir Prima is absolutely amazing. it takes less than a minute to heat and I am seriously saving on my materials. 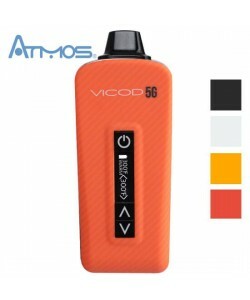 It is one of the best and most efficient vaporizes I have ever used. I would recommend it to anyone that asked. The Vapir Prima is my second vaporizer and one that I wish I would have purchased first. It is super easy to use and has great flavor. I love that it heats up really fast too. The battery is good, but I don't use it that much. I like it a lot better than I ever enjoyed smoking. The Vapir Prima is something that I would recommend to anyone. I have tried several vaporizers and this one is hands down the best. The flavor is off the charts and the build feels super durable. I would like to see a smaller size but that is just nitpicking because it is more than worth it. It works perfectly and is easy to clean. It takes very little product to get the job done and I love knowing that I am being healthier by using it. It just looks a little silly, but that's okay. I bought this when it first came out and it still does not let me down. I have yet to replace any of the parts. I use it daily and after all this time it is still going strong. I have had the Vapir Prima for years and it has yet to let me down. It is really easy to use and is easy to grab onto the screen to pull it out and clean it. The battery is not very long lasting though. The Vapir Prima is a really great product. The only thing I have to say is that it looks like an ancient vape, but I have had it for years and am happy with it. It does the job and is really durable. The price is good for what I got. I think it's a must buy for both advanced users and experts alike. I love the Vapir Prima. It's weird that it took me so long to start vaping. The taste is incredible and it is really easy to use. It might look a little old school but the performance makes it worth it. The only complaint I have about it is that it is a little difficult to get to the chamber to clean it or fill it. If you want one that performs well all things considered, the Vapir Prima is it. The price is great and I would recommend it to everyone. I am a long term smoker and I am new to vaping but got the Prima anyway. More than four years later and I am still going strong. It takes a little bit of experimenting to find the right temperature for both you and for the product but it is worth doing. This vape is ideal for when my throat hurts since it is smooth and doesn't hurt. I sent an email about the vape that I had purchased to get a question answered, and by the time I got to work, I had an answer. Best online vape store - Review by Vicky S.
There is nothing like getting the best vape out there from the best online vape store. I love my vape--it is even better than I imagined and your service was also more than I could have guessed I would have gotten. Easy to use and maintain - Review by Henry T.
The Vapir Prima vaporizer is something that I upgraded to from another vape and I have yet to be disappointed. The Vapir Prima vaporizer is a wonderful vape that feels nice and durable, and like it was built to go the distance. The material when I use it in this vape tastes amazing and the vapor is really thick and produces great clouds. This can be hard to find with vaporizers. Not only are the clouds from the Optimus Prima vaporizer exceptional but they are nice and aromatic as well. I love that all of the pieces are replaceable in case something goes wrong and the fact that it is so easy to clean really helps as well. This vaporizer has a battery that is interchangeable. Buy Vapir - Review by Lynda L.
The Vapir Prima comes with a replaceable vaporizer battery that really makes it stand out from the rest. High quality vapor - Review by Christina J.
I love how easy it is for me to use the Vapir Prima vaporizer and how I never have to worry about the battery dying and me not having another one. Both of these things are really important to me because I get to take it with me when I have a long drive or if I want to go hiking. It is super compact and beautiful, and I honestly don't have anything negative to say about it. 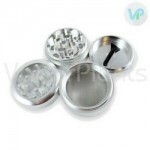 The vapor is high quality and it produces super thick vapor that is flavorful and smells amazing. Great unit - Review by Roy A. The chamber is great because it is simple to load and even easier to clean. Detachable battery - Review by Annette F.
The Vapir Prima vape is a promising vape that I have a feeling I will have for a long time. I love that the battery is detachable as it makes it simple to charge it and to always have a spare battery on hand. Long lasting battery - Review by Anna J.
I don't have to worry about the battery dying when I take it out of the house with me. Informative - Review by Allan B. It has a chamber that clicks shut so it’s really easy to toss it into my pocket and forget about it until I want to use it again without worrying about any of my material spilling out of it. It is easy to use and there are lights that blink to let you know when everything is ready. Selective temperature - Review by MJ P.
I love that I can pick the temperatures that I want to vape at with the Prima vaporizer. Big chamber - Review by Charlene E.
The chamber is nice and deep and allows me to pack as much as I want to into it. This makes it great for vaping alone or with a group. Battery is interchangeable - Review by Weeds K.
If I am vaping with a group of people and the battery starts to wear off, I can just plug in the spare battery that I always keep with me since the battery is interchangeable which is something that is hard to find. Overall this is a really great vape. Well made - Review by Francis R.
It is built really well and feels like it can last for many years to come. I have nothing bad to say about it.